During the Gala Evening the Auction will be entirely donated to the Association ‘Les Enfants de Frankie’ Chaired by Madam Francien Giraudi. 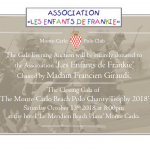 Since its creation in 1997, the Monegasque Association “Les Enfants de Frankie” has helped more than 122,000 children. 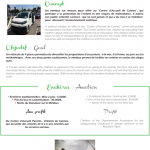 The charity works in in collaboration with Regional Hospitals, Social Services, Orphanages, the Department of Children’s Aid and over two hundred Organizations, to help sick, disabled and underprivileged children of Monaco. ‘Les Enfants de Frankie’ finances projects that aim to maintain a social link in order to fight against exclusion and isolation, in addition to organizing workshops, outings, holiday camps and regular hospital visits. All funds raised from the ‘Monte-Carlo Beach Polo Charity Trophy 2018’ closing Gala, will contribute towards creation of a mobile medical bus and a tailored 8 seater transportation vehicle for our children. 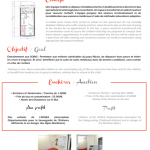 Our aim is to allow vulnerable children in the surrounding city of Nice to overcome their fears and for the children to benefit from medical care in good conditions, without fear or refusal of the child. And to allow the children to view the world with a new pair of eyes.